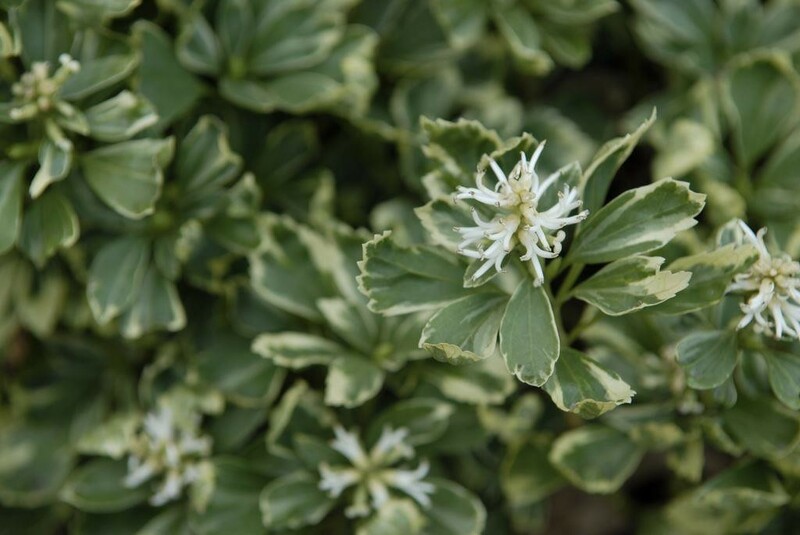 Rosettes of glossy, dark green leaves with serrated edges generously edged in dreamy white, form dense mats of eyecatching groundcover in sun or shade. 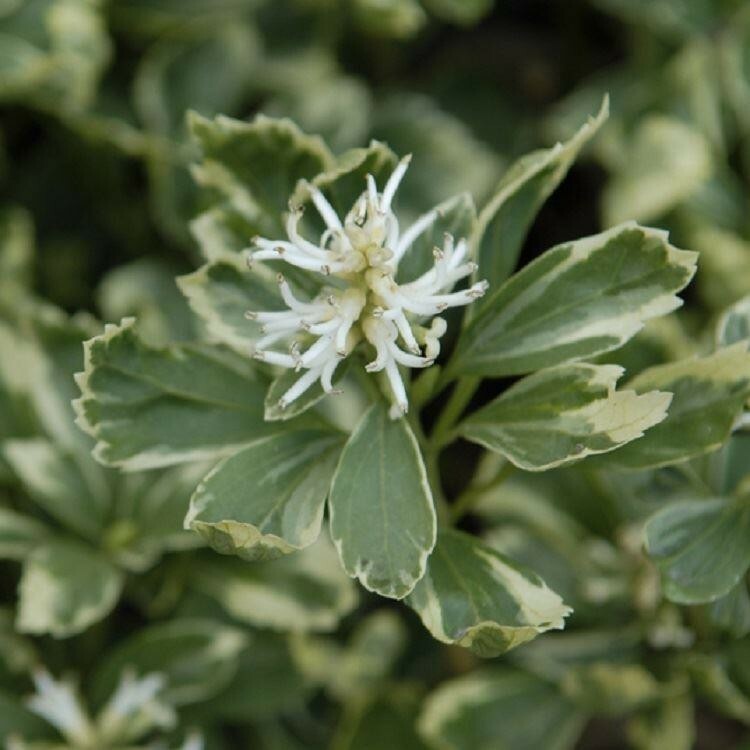 In early summer upright clusters of tiny, white flowers contrast beautifully with the foliage. 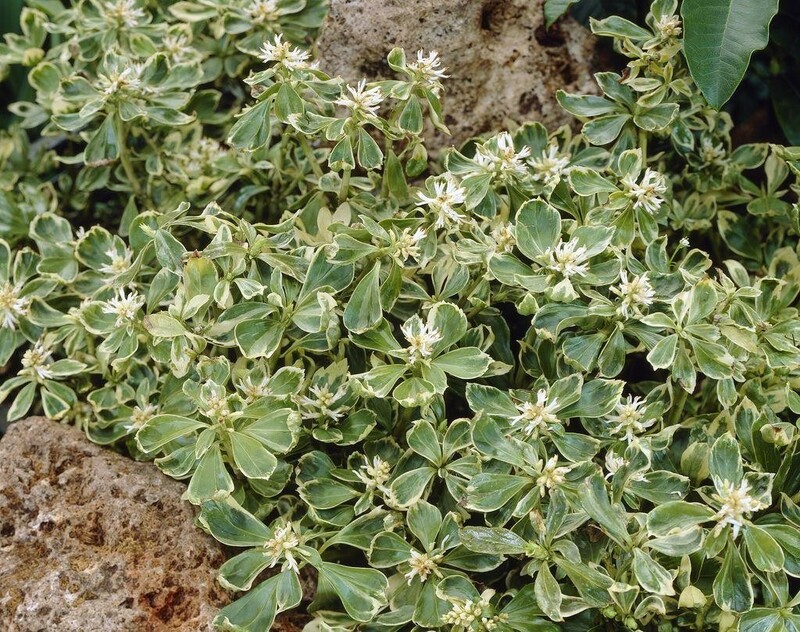 Japanese spurge is perfect for mass planting and carpeting bare areas of earth between deciduous shrubs or trees. 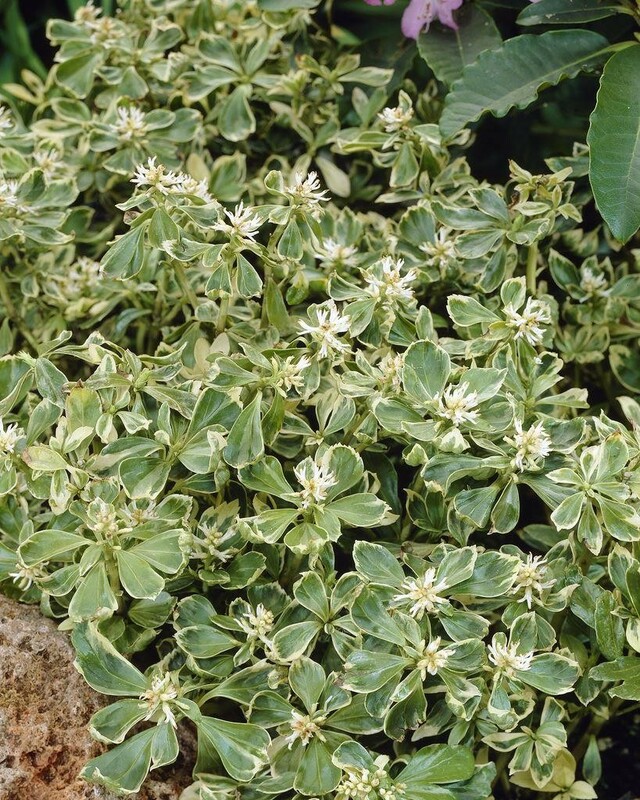 Supplied in approx 2-3 litre containers.